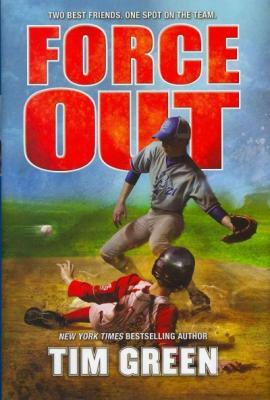 New York Times bestselling author Tim Green hits it out of the park with this action-packed baseball novel about some friendly competition. Perfect for fans of Mike Lupica. Joey and Zach have been best friends since forever. As two of the best players in their baseball league, they’ve always dreamed of playing together on the Center State select team, and they will do anything to help each other get there. So when Zach is forced to go on an extra-credit field trip that could ruin his chances of being picked for the all-star team, Joey comes up with a risky plan to bail him out. As long as no one finds out what they did, all will be fine. Then the unthinkable happens: They learn there’s only one spot left on the team. Suddenly Joey and Zach go from being best friends to fierce rivals, and Joey must figure out his next move. He has two options: play the biggest game of his life or use their secret to force Zach out. But is Joey really willing to put everything on the line to win?